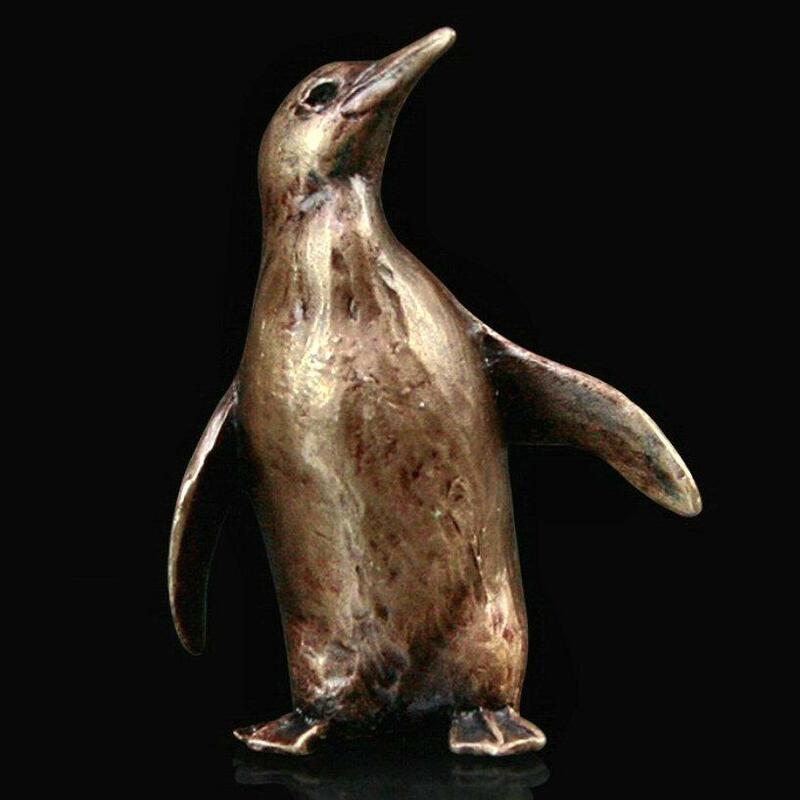 A beautiful bronze penguin from the Butler and Peach collection of miniature sculptures. Native to Antarctica the Emperor Penguin is instantly recognisable with its upright and stately bearing, enhanced by its 'dinner jacket' style feather colouring. In recent years their cute looks and endearing walk have helped penguins come to the fore of popular culture through animated films like Happy Feet and Madagascar amongst others. Fine detailing and a traditional hand-finished patina - a thoughtful small gift for any lover of international wildlife. This exquisite miniature solid bronze sculpture is supplied in a protective soft suede drawstring pouch and then presented in a high quality gift box. Hot foundry cast bronze, hand finished.